Can't Meet Your Assignment Deadline? 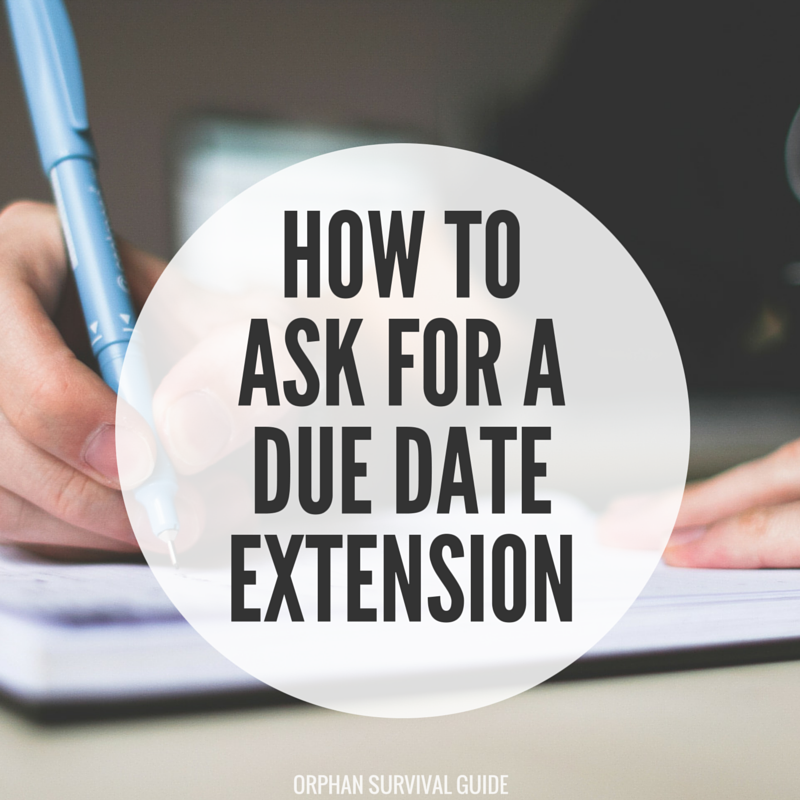 Here’s How To Ask For An Extension! Can’t Meet The Deadline For Submitting Your Assignment? Here’s How To Ask For An Extension! Deadlines are scary – especially when you can’t meet them. It is very common and quite relatable that students often find it difficult to complete their assignments on time and often miss the deadline. It could be because of any other exam, a job, too many assignments to be submitted around the same time, some other commitments such as a game or a competition, or could be because of unexpected situations like sickness, a family emergency or an accident. Nevertheless, the only proper way to face such a situation is to be upfront about the situation and to talk it out with your professor about an extension. While some believe that the best way to ask for an extension is through an email, talking to face-to-face might also not be a bad idea. In fact, it puts you in a better place to explain to your professor more convincingly about your situation and you might not even have to wait for an answer for too long. But before you do that, here are a few things to keep in mind and prepare for, so that your effort doesn’t go a waste. Whether you are writing an email or talking face-to-face, make it clear in the subject or opening line of your conversation that you want to ask for an extension. It prepares your teacher for what will follow and not confuse or waste their time beating about the bush. The most polite way to go ahead with the conversation would be to apologise for not making it. It would build grounds that you are sorry for not being able to meet the deadline and show that you are feeling responsible for the situation. 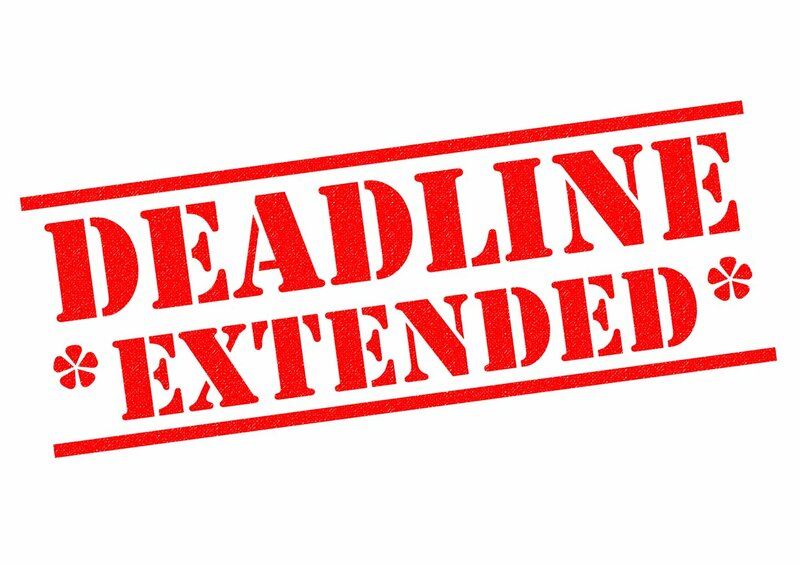 Give a reasonable explanation as to why you are unable to meet the deadline. If you say you can’t make it because you have a party to attend, you can forget all about it. Make sure you have a decent excuse to give. If you have another exam around that time, explain nicely that the preparations for the exam are taking all your time. If you have an academic blog that makes your work difficult, put it convincingly before your teacher. Who knows they might be impressed with your efforts to set up an academic blog and give you a discount? The extension you ask for must be acceptable and believable to your teacher. If the extension you ask for is too long, your teacher might surely say a “No”. Thus, be reasonable in your request. If you feel you might need an extension, plan ahead for the same. If you go up to your teacher on the last day before the deadline to ask for an extension, he/she most probably would say a no. It is always better to ask beforehand. If your teacher says no, accept their answer and plan and work accordingly. Remember, it was a request that you had put forward and your teacher is not obligated to accept it. They might reject your plea and hence, you should be prepared for the worst situation. Remember to build the grounds by making a good impression on your teacher before you go ahead to ask for an extension. Make sure you have been regular to his classes and been participative and attentive throughout. Also, use of some emotions always works. Thus, make sure your conversation is filled with touching emotional dialogues that makes your teacher believe that had he been in your shoes, he would have done the same. All in all, it would never hurt to give it your best shot. And in case if you fail, never mind, you will still have some time in hand to give it your best shot. Good luck! Thanks for this useful information. A well-written post on an important topic.I very much enjoyed reading your article! 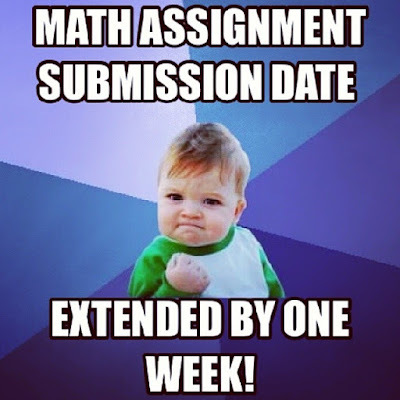 I think its a not a big deal if you submit your assignment a few days late as long as you have a plausible reason. I agree with you. Simply explain Explain your circumstances to the instructor and have the documentation and I think you have good chances. Quite rightly said, but most students reach out to me in panic when they do not have a plausible reason in mind. It's better to keep a good repute with the professor at all times, as it pays rich dividends in the times of crisis. Key study skills for summarizing are skimming and scanning. Honing these skills will take practice but with the right strategies and orientation you will be summarizing quickly and effectively in no time. Indeed! It takes years to master these skills. In addition, a firm grasp of the subject topic and the expectations of the professor helps a lot in hitting the bull's eye for the last minute submissions.